Neymar at Paris Saint-Germain hasn’t proven to be the tale many expected it to be. Apart from the world-record nature of the transfer and the inflation in prices it has caused, the impact hasn’t been much. 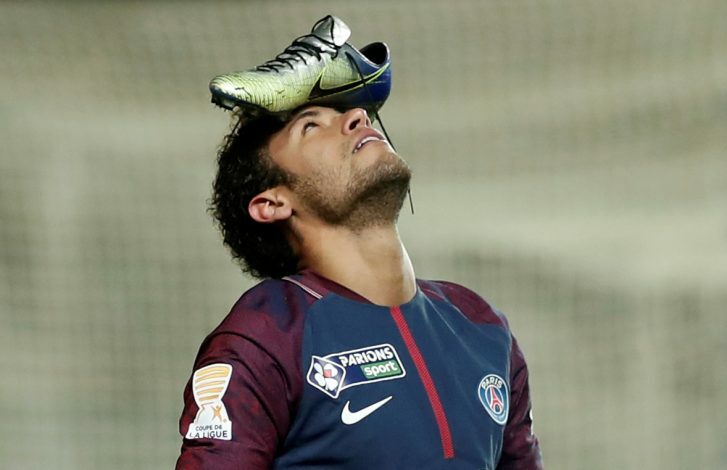 It would appear that the Ligue 1 isn’t appealing to Neymar’s hunger for challenge, and despite the club looking comfortable in the first place and goal-happy, a transfer away could still be on the cards. To add to the sorrow are the several controversies that the Brazilian has been enveloped in ever since the move to Paris – sparring with Cavani over penalties, demanding preferential treatment, and as of recently, being booed by fans of his own club. As of such, an exit looks like a possible option. However, Neymar will only be allowed to leave the Parc des Princes under one specific condition. According to Goal, PSG President Nasser Al-Khelaifi will give the nod to a move to Real Madrid only and only if the 25-year-old aids the French giants to Champions League glory. Despite their often exuberant spending and a strong hold on the transfer market, that one European crown is yet to grace the Qatari-backed side. Further, Real Madrid are believed to be obvious contenders for his signature, what with Los Blancos even wishing for a move back when he was deciding over his future destination from Santos. Having shined at Barcelona, the PSG move certainly was a step down in all matters except finances. However, it is clear that PSG’s eyes are set on the bigger prize. If this report is true, the Parisian outfit will certainly be willing to part ways with their semi-problematic record signing if he achieves the right feats.